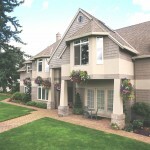 What Do you look For When You Inspect Our Home? 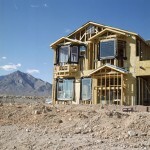 We will inspect the foundation and framing of your house. This also includes the basement, crawl spaces, concrete slabs, support beams and posts, ever component that is critical to providing stability, strength, and your comfort for the years to come. The exterior of your home envelops the many components that make up your home, and the primary function is to protect the building structure and interior from damages that can occur when exposed to the different elements, such as water, heat and even pests. Roofs are designed to protect you and your home from external elements, such as rain, wind and the Phoenix sun. The roof can also be used to support mechanical units for the house. The roof covering, drainage systems, flashing, skylights, chimneys and all other penetrations are thoroughly inspected for it’s proper condition and any defects caused by wear or improper installation, which may cause damage to your home. The plumbing inspection includes 1) the water supply, 2) the drainage and waste system, and 3) the distribution systems (including all fixtures and faucets). 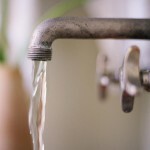 These areas of your plumbing system will be inspected for proper water pressure and flow, any leaks, dripping, clogged pipes, proper sewage flow, garbage disposal, and drain fixtures. All relief valves all will be inspected as well. The electrical system is one of the most crucial components to you home. Most homes today have a minimum 100 Ampere power supply with 110/220 voltage capability or greater. 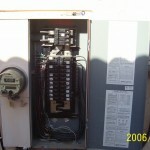 Some circuit breaker types are prone to overheating and malfunction if not properly installed or maintained. Devices could affect the current homeowner or dwelling. You will receive in the report a description of the amperage, voltage rating of the service, the location of main disconnect(s), sub panels, and the wiring methods. The inspection report will also note whether your home contains solid conductors or aluminum branch circuit wiring and if smoke detectors are installed. The inspection of the HVAC system includes the evaporator coil, air handler, suction line insulation, drain lines,and condensate drain pans,filters,the coil, fan, mounting apparatus,ducting,venting and thermostat(s) where appropriate.The heating and cooling components will be reviewed for functionality and safety issues.Another key component of the HVAC system is the exhaust gas venting which is inspected to make sure they are working properly and safe. Venting issues include proper clearance to combustibles, slope, support as well as damage and restriction of the flue, vent connector and chimney. Other visual checks provided are the combustion air supply, the thermostat on all units located in the home, electrical connections and wiring, the condenser’s working status, safety controls functioning properly, heat and cooling modes are working, and the natural gas or fuel oil piping and system. There are a number of reasons why the interior of your home is inspected. First, it provides “clues” to possible structural problems. Second, often times roof and plumbing issues can be detected. The overall interior finishes usually reflect the overall building quality, and by assessing your homes overall condition, we can better provide you with the overall maintenance necessary. A couple examples included in an interior inspection are sufficient number of electrical outlets in each room, and adequate heating and cooling throughout your home. Insulation and ventilation systems are designed to keep your house comfortable and structurally sound. Insufficient insulation and air leakage are leading causes of energy waste in most home, possibly yours. Insulation saves you money and helps conserve our nation’s limited energy resources. A home properly and adequately insulated will make that house more energy efficient and comfortable for the household. Properly insulated homes help maintain a uniform temperature withing the house. The walls, ceiling, and floors will stay warmer during the cold winters, and they’ll also be cooler during our hot Phoenix, Arizona summers. Insulation can also act as a sound dampener or barrier, keeping exterior noise levels to a minimum. The purpose of your home ventilation system is to control odors, contaminants and indoor levels of moisture. Important inspection points consist of the insulation and vapor retarders in unfinished spaces, the ventilation of attics and foundation area, the mechanical ventilation systems. You inspection report will also include descriptions of the insulation and vapor retarders in unfinished spaces, the lack or absence of insulation within unfinished spaces at conditioned spaces. 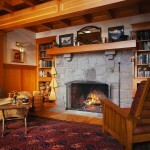 There are different types of fireplaces, metal inserts, and masonry. Metal inserts are comprised of a metal firebox which is inserted in the framework of your home. The metal inserts are usually solid burning fuel with gas logs. These components utilize single or double flues designed to extend through to the roof, or the side of your house. Masonry fireplaces consist of blocks, or brick and mortar. 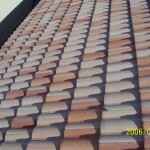 These components utilize metal and clay liners, they are generally designed with chimneys. Defects, in either case, can lead to damage to your homes structure, toxic gas leaks or poorly ventilated components. Your home inspection of your fireplace will consist of the system component itself, the ventilation system, flues and chimneys. A description will be given, noting all defects posing potential safety concerns. What Types Of Homes Does ATS Inspect? ✓ And Any Other Type Of Home! The above inspection types consist of a 500-point inspection which includes: Structural Components, Roofing System, Exterior and Landscaping, Electrical System, Plumbing System, Heating and Cooling System, Interior, Insulation and Ventilation, in accordance with AZBTR; Arizona Standards of Practice. Before you place your home on the market, allow us to assist you in performing a pre-listing inspections. This inspection will address possible maintenance issues, major and minor defects, safety concerns which may make the process of selling you home quite time-consuming. As well with this pertinent knowledge of your home, the direction needed may enhance its value and the time it takes to sell. Protect your investment and improve your awareness of your home with an inspection by ATS Home Inspections, LLC. A pre-purchase inspection should be performed by a licensed inspector to weigh your decision on the purchase of an existing home. Home purchase contracts will often contain a provision for a home inspection and certain stipulations concerning the condition of various home systems and components. Protect your investment by arming yourself with the knowledge you will obtain with a thorough pre-purchase home inspection offered by ATS Home Inspections, LLC. A Wood-Destroying Insect Inspection Report (WDIIR), also known as a termite inspection report, is a document prepared only by a licensed pest control business that informs the lending institution and buyer about termites, termite damage, and other issues relative to termites. Performed by a third party vendor with a classic 3-page report as well and detailed report packet. New home inspections play an important role when final steps towards closing are at hand. This inspections is as important as an inspection of an existing older property. You will be provided a report of possible structural deficiencies and safety concerns. You’re also going to want to be made aware of the less noticeable, but equally important and potentially costly deficiencies often encountered with newly built homes. Before the 1-year deadline expires on your home warranty, an inspection is highly recommended. An inspection prior to your home’s 1-year mark will uncover any still existing defects still needing to be addressed, and even catch any issues that have recently developed. It is important to have these issues brought to the builder’s attention prior the the deadline, as they can address the defects under your warranty. Inspection of pool/spa consists of a visual inspection of: electrical, pump, heater, lighting, plumbing, filter, decking, gauges, valves, GFCI outlets, pool surface, fence and mechanical covers.